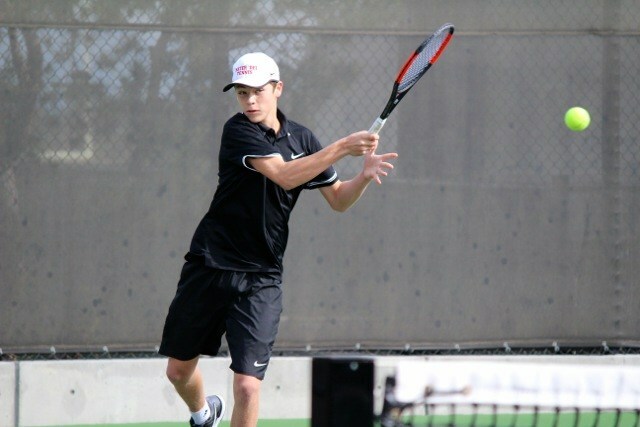 Mater Dei High School's Boys Tennis Team cultivates physical as well as mental strength in its student athletes. They strive for each player to grow to the height of their potential as an athlete and as a student. Head Coach Mike Moorewood has been an USPTA Tennis Professional for 15 years. Coach Mike has over 10 years of high school coaching experience. The Mater Dei Boys Tennis Program offers two teams: Varsity and Junior Varsity. Want to prepare for your high school tennis season? Contact your coach about off-season training. Whether it be summer camp, an Academy, or private lessons as well as playing tournaments. your coach can help you find your game.